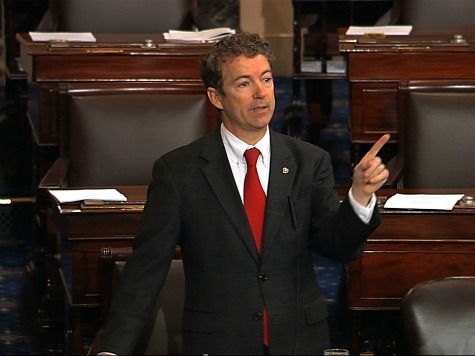 Sen. Rand Paul (R-KY) introduced a Senate resolution condemning President Barack Obama’s National Security Agency (NSA) for allegedly spying on the Pope on Thursday. Paul specifically called on President Obama himself to address the reports, even though the NSA has denied the claims. Whereas this story has been widely reported in the American and international media. Whereas the National Security Agency has reportedly denied the allegations. Whereas these allegations are serious and President Obama should personally address these reports. “The American spy agency monitored telephone calls made to and from the residence in Rome where the then Archbishop Jorge Mario Bergoglio stayed during the conclave, the secret election at which cardinals chose him as pontiff on March 13,” the Telegraph’s Nick Squires reported on Thursday from Rome. In a statement provided to Breitbart News, Sen. Paul said he is calling President Obama himself to address these allegations.